A new book by Peter Wallensteen traces the development of peace research over the past six decades as it has become established as a credible academic enterprise that is also relevant to policymakers. The book, “Peace Research: Theory and Practice,” published by Routledge, is a collection of essays by Wallensteen addressing topics at the intersection of peace and ethics, war, history, conflict, sanctions, psychology, policy and diplomacy. Wallensteen is the Richard G. Starmann Sr. Research Professor of Peace Studies at the University of Notre Dame’s Kroc Institute for International Peace Studies as well as the Dag Hammarskjöld Professor of Peace and Conflict Research at Uppsala University in Sweden. 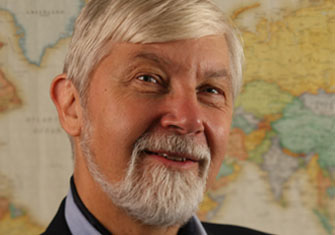 Peace research first emerged from a series of traumas around the globe, Wallensteen said. Following World Wars I and II and the onset of the Cold War, scholars began forming peace research centers in the United States and Europe in the 1950s and 60s. Today, peace research institutes and departments exist on every continent and in nearly every country, most of them at universities, Wallensteen says, and peace researchers contribute to the development of international studies, development research, security analysis and policy. Originally published by Renée LaReau at newsinfo.nd.edu on October 18, 2011.